Since I am at an event tomorrow, the invitations for the AVIA race will be sent on Saturday instead. 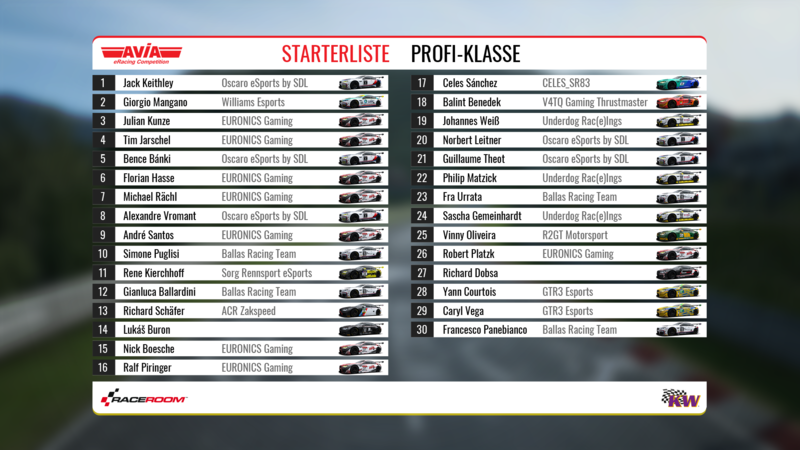 And on RaceRoom Twitch and AVIA Facebook. How to make a report for the Zandvoort Pro race ? 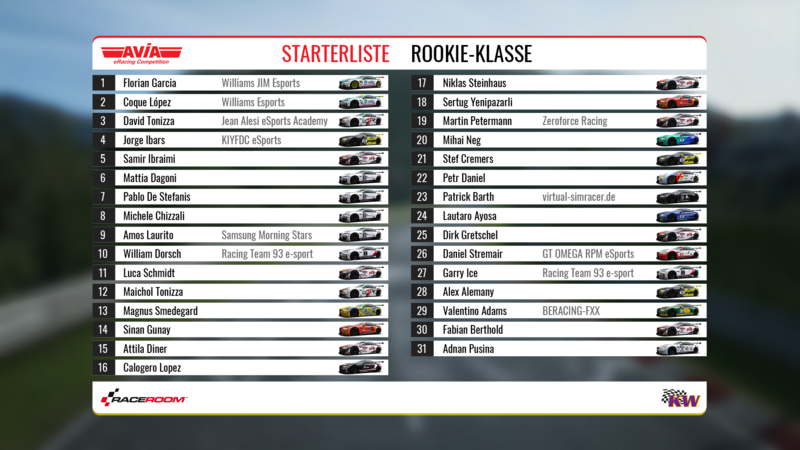 Send a mail to competition@raceroom.com . The exact details are in the rulebook, which is linked on the competition page ingame. Courtois is being passed by Platzk in turn 1. He slots back in behind him, while Panebianco comes really hot into the corner and hits Courtois. The braking point from Panebianco is ok, but it looks like he is not slowing down as hard as he could do, and he could have easily avoided this crash. This is a difficult scene. Mangano is really late on the brakes and goes for a last minute move on the inside. Rächl takes the normal line, so it tightens on the inside. Mangano gets the overlap really late into the corner, goes with 2 wheels on the grass and turns in very hard. He makes contact with Rächl and takes the position. Smedegard is on a line very far on the inside, almost out of track limits, and comes back on the track in front of Smolarczyk. Two cars have already spun, and Smedegard is careful and slower than racing speed in the corner. Smolarczyk hits him in the back and spins Smedegard. To be fair, Smedegard is slower than usual, but there are already yellow flags out due to the other accident and Smolarczyk can clearly see Smedegards line. He has to be more careful here. Smolarczyk hits Petermann and sends him off the track. Invitations have been sent for Spa. Marcel Weber - your inbox is full. Send me a PM here or reply and then we can sort it out. Second round of invites has been sent! The drivers fighting for the top spots (and sometimes further down the field) have been involved in completely needless accidents in this series. 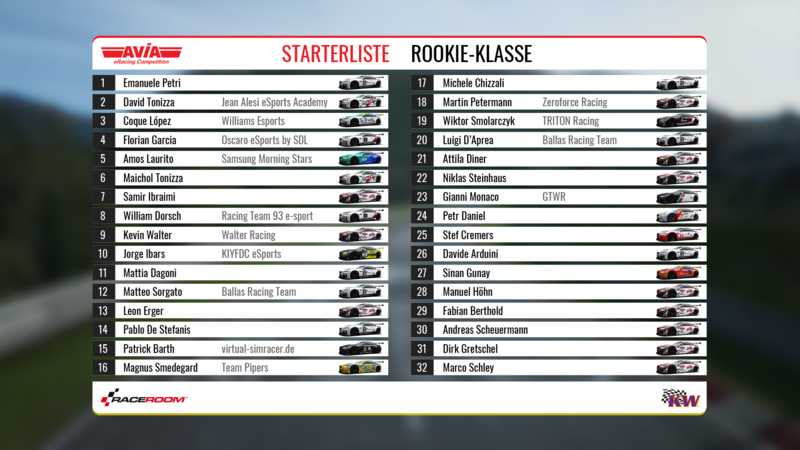 The field competing in the "Profi Klasse" consists of top-class racers, that's why seeing these strange and amateurish mistakes (misjudging your braking point by 30 metres, hitting someone on the apex) leaves me puzzled. If I were a casual viewer, I could easily be under the impression that a handful of these accidents are caused intentionally. (It certainly doesn't help that even the comms used the term 'pay-back' on at least one occasion today). Of course, since I have known most of you for a long time, I don't presume that any drivers or teams would use such dirty tactics. However, we can agree that careless and overly desperate driving does more harm than good. Please, try to keep your cool and respect your opponents. Fra Urrata, man, you have problem with your internet connection. You flickering on track whole race and this problem you was previous race too. Do something with this problem, because is almost imposible overtake you and is very dificult to ride just behind you. I would like to know if for this competition, drivers can use traction control or is it fixed? I'm only talking about traction control.